SATISFACTION GUARANTEED! WE SELL QUALITY ITEMS AT GREAT PRICES! OVER 97,000 POSITIVE FEEDBACKS CAN'T BE WRONG! CHECK OUT OUR STORE FOR MORE GREAT SAVINGS! WE PROVIDE QUICK SERVICE AND CUSTOMER SATISFACTION IS OUR GOAL! 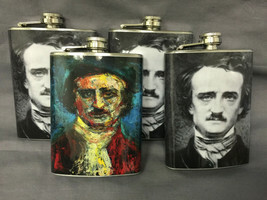 YOU ARE BUYING A THEMED FLASK WHISKEY ALCOHOL DRINKING SPIRITS THIS IS AN 8oz. STAINLESS STEEL FLASK Clearance Items sold as is (as pictured) no substitution. Designer Flask. • High Quality UV coated wrap around Skin! • Twist off hinged lid - never lose your lid. • Stainless Steel 8oz Flask. • Measures 5.5" tall, 3.75" wide, and 1" thick. • Perfect for front or back pocket, or purse. • Weighs 4 ounces when empty. Each flask design is professionally printed on high quality gloss vinyl skin and completely wrapped around the flask, overlapping in the back. Each flask is specially designed and handmade. 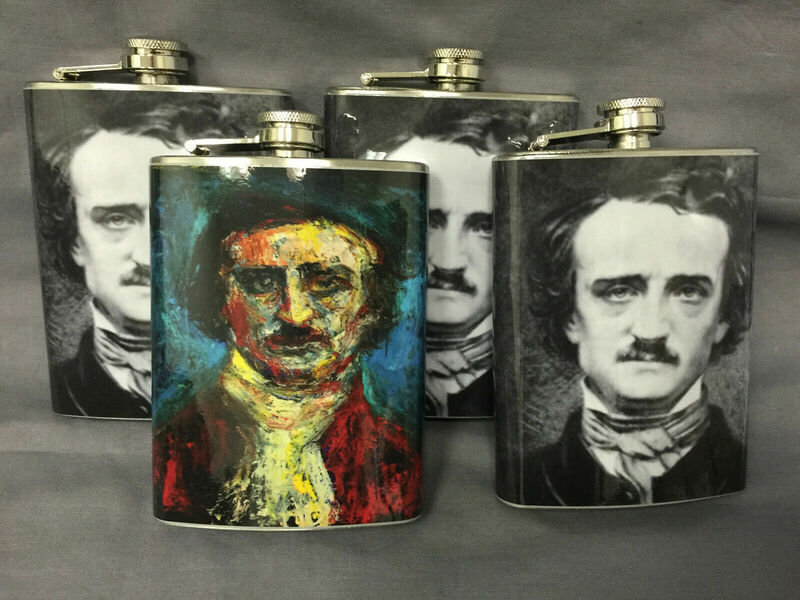 ALL CUSTOMIZATION IS DONE HERE IN THE USA DRINK FROM A UNIQUE PIECE OF ART DESIGN - Classic, Cool, and just a Touch of Class is what a hip flask can say a lot about you. The original design is digitally printed on vinyl, laminated with a UV coating to protect against moisture and sun and then wrapped entirely around the flask. PREMIUM QUALITY FLASK - Manufactured with premium sourced Food Grade Stainless Steel. The flask is rust free and will not corrode over time. ECO-FRIENDLY and BPA-Free. Laser Welded seams are free and all edges and seams are smooth and polished. High Quality Material 100 % LEAK PROOF TESTED - Each Hip Flask is laser welded and then air-pressure tested to create a leak proof and rust free container. 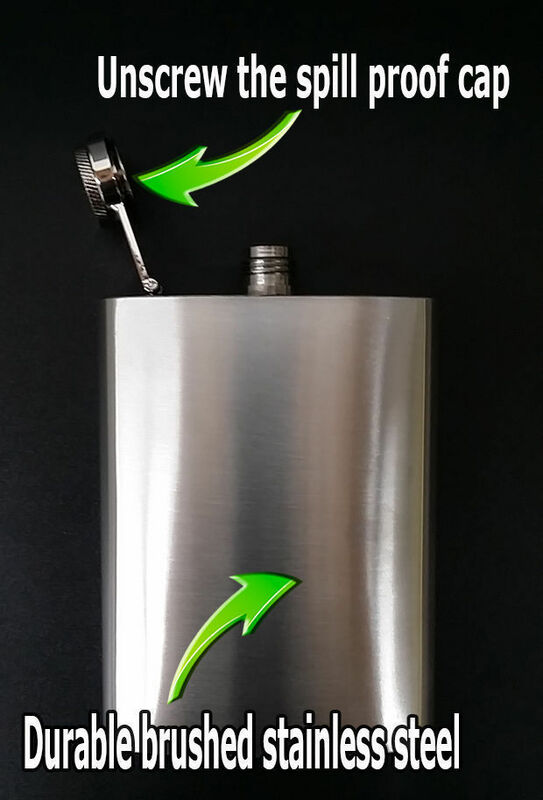 The twist cap creates an air tight seal to ensure no vodka, whiskey, bourbon or other liquid beverage will get wasted. THE PERFECT GIFT FOR ANY OCCASION! - When you are looking for the best quality this vibrantly colored, designer flask makes the perfect gift for any occasion. Make a splash at Weddings, Birthday's, Graduations, for Fathers Day, at Work Events, with Best Friend.